The Sewaholic Renfrew pattern has become a firm favourite with the online sewing community. And with good reason, it is basically the perfect women's basic tee! In this class you'll learn how to sew with knit fabrics whilst making your own semi-fitted v-neck, scoop-neck or cowl-neck t-shirt. The fabric and pattern are included in the course fee. 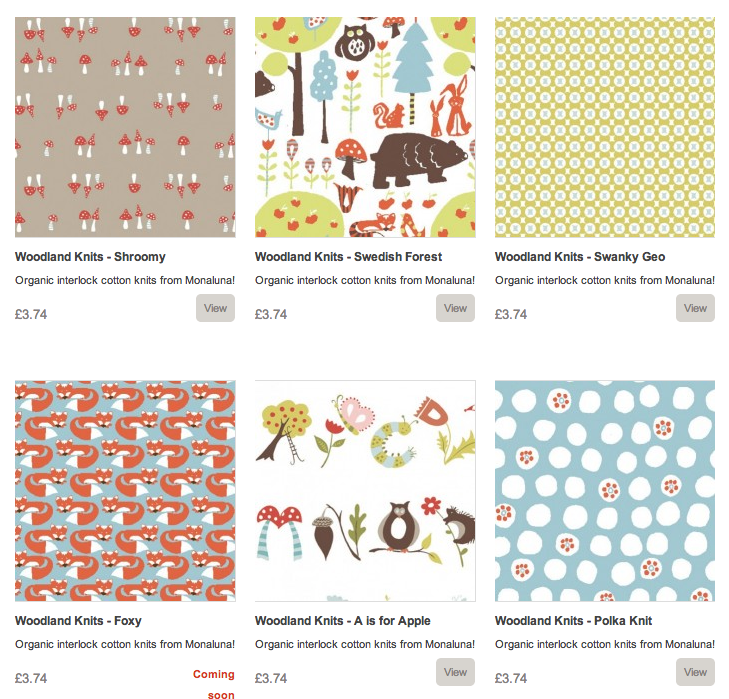 The Village Haberdashery have some fabulous organic jerseys by Monaluna for you to choose from, check out their ranges Raaga knits and Woodland knits (pictured below). You'll leave class with a great new top and the confidence to tackle any knit pattern you've been coveting! 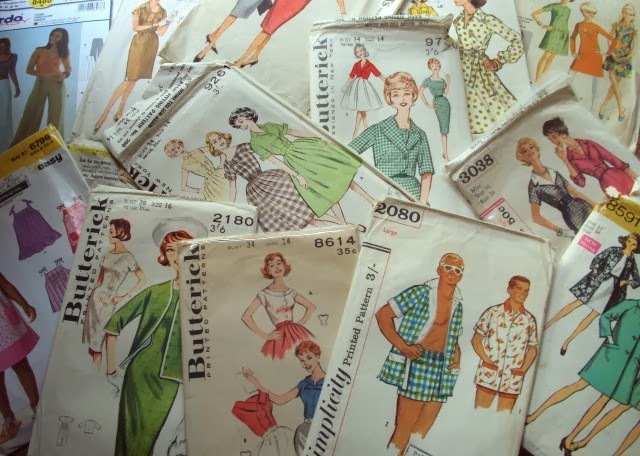 This session will designed to demystify and explain how to use commercial sewing patterns. This is a discussion and demonstration based class, not a practical 'doing' one. This class is perfect for someone who has already taken a beginners sewing class or generally feels ok using a sewing machine, and now wants to amp their skills to become a confident dress-maker. Good luck starting your classes again! They sound like great classes. Shame the 'make your own knickers' is sold out. I dabbled with knicker making but I couldn't get the hang of getting the elastic on properly. Maybe I'll try again now I've got an overlocker. Good luck with them all - I'm sure you'll be fine. Good luck! You'll have a great time when you get going. Good for you I'm sure you'll enjoy teaching again. I want to attend a class(though in brighton or near by rather than london). A lot of the classes I see advertised sound like they are for absolute beginners, and though I'd still term myself as a newbie to sewing, I'm confident on the machine and have made rather a lot of wearable clothes- what I need now is to refine my skillls and learn techniques like zips with a bit more finesse than I currently have! Any recommendations? I'm sure you will be fine with the teaching. I can see that it would be nice to use different skills than childminding for a change! Have fun! They look like terrific classes! Good luck re-entering the work force. I'm sure things will go well! Having attended 'Intro to Commercial patterns' myself at Sew Over It, I can say that it was a really useful course and Zoe was a great teacher! I'd love to come to any of those classes. 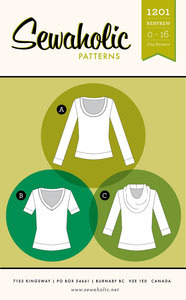 I'm dying to try my hand at that renfrew top, especially with one of those knit fabrics you linked to! Lovely. 1940s Tea Dress Pattern Giveaway!! !